THE AVARICE of Bill and Hillary Clinton is a wonder to behold. They crave wealth, it seems, even more than they crave power, and display no qualms about exploiting their political stature to amass it. According to a required financial disclosure filing last week, the former president and his wife have collected more than $30 million since January 2014, most of it from speaking engagements for which they charged an average of $240,000 each. To put that figure in perspective, what the Clintons earn per speech is nearly five times what the median US household earns per year. Since leaving the White House in 2001, the Clintons have made more than $125 million just from what The New York Times has called "the family speechmaking business." Huge book advances have been worth many millions more. For all their poor-mouthing about being "dead broke" and needing to "pay our bills," the Clintons' income puts them well within the top one-tenth of 1 percent of all Americans. So why, pray, should taxpayers be giving Bill Clinton an allowance that amounts to another million dollars a year? Indeed, considering that every living past president is a multimillionaire, why should taxpayers have to fund an allowance for any of them? That question has been on the minds of US Representatives Jason Chaffetz of Utah and Elijah Cummings of Maryland, the chairman and ranking Democrat, respectively, of the House Oversight Committee. Under a bill they have introduced, presidential pensions would be capped at $200,000 yearly, as would the amount available for office space, travel, and staff. For any former president making more than $400,000 a year, the expense account (though not the pension) would be reduced dollar-for-dollar, zeroing out once an ex-president's earnings surpassed $600,000. That's about two-and-a-half speeches, at Bill Clinton's usual rate. On Tuesday, the committee voted in favor of the measure, sending it to the House floor. Now House members ought to do the right thing and advance it, with bipartisan approval, to the Senate. For most of American history, presidents weren't showered with taxpayers' money after leaving office. Nor were most former presidents willing to cash in on their White House service by chasing paid speaking gigs or lucrative board memberships. Calvin Coolidge spurned offers to endorse commercial products. The money was being dangled "to hire not Calvin Coolidge, but a former president of the United States," he said, and it would be shabby to "make that kind of use of the office." 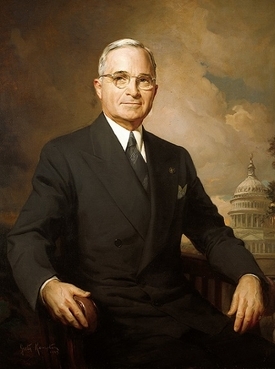 It wasn't until 1958 that Congress, learning of Harry Truman's financial struggles, enacted the Former Presidents Act to provide a pension and expense account for retired presidents. Its purpose, the Congressional Research Service explained in a 2014 report, was "to maintain the dignity" of the presidency, and ensure that no ex-president would be forced to engage in activities "which would demean the office he has held or capitalize upon it in any way deemed improper." In that more innocent era, members of Congress took it for granted that former presidents would be loath to devote their post-White House years to hustling six- and seven-figure honoraria, or peddling their availability to influence-seeking special interests. 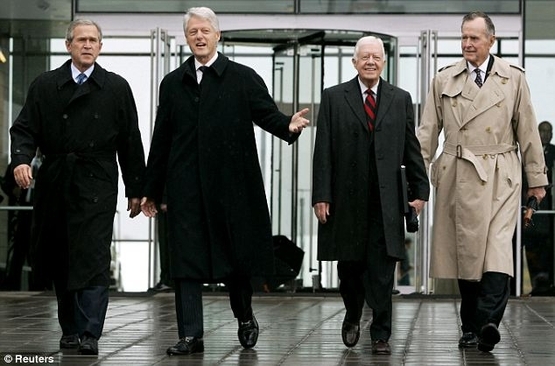 Most former presidents refused on principle to chase paid speaking engagements or accept lucrative corporate offers. "I could never lend myself to any transaction, however respectable," Harry Truman wrote, "that would commercialize on the prestige and dignity of the office of the Presidency." Well, those days are gone, and they vanished long before the Clintons were on the scene. Gerald Ford devoted his after-presidency to aggressive moneymaking, accepting the kind of corporate directorships and consultant contracts that earlier presidents avoided on principle. "I have to earn a living," he offered as a justification. Ronald Reagan cashed a $2 million check from a Japanese media conglomerate in exchange for giving a couple speeches and attending a dinner. George H. W. Bush took the money-grubbing to new heights: Within four years of leaving the White House, reported The Wall Street Journal in 1997, he had "earned millions of dollars speaking publicly for about 40 companies." His son has followed suit, amassing a fortune of his own in speaking fees and royalties. Bill and Hillary Clinton didn't start the fire of post-presidential buckraking. What makes their greed distinctive is the way they have pushed it to previously unimagined levels, leveraging Hillary's political career to advance their financial interests, and vice versa. It's crass and unseemly; it would have appalled Coolidge and Truman. But if former presidents are hell-bent on turning the prestige of the presidency into a license to print money, there's little the rest of us can do to stop them. Electing leaders with better character would help. In the meantime, taxpayers shouldn't have to treat fabulously wealthy ex-presidents to even more wealth. The Clintons and Bushes won't go hungry if they have to cover their own office rent and retirement expenses. After all, they're not royalty. Even if they are richer than 99.9 percent of their fellow citizens.